A new campaign is raising awareness of the difficulty that blind people and their guide dogs can face when attempting to ride in taxis, cabs, even go in shops and restaurants. 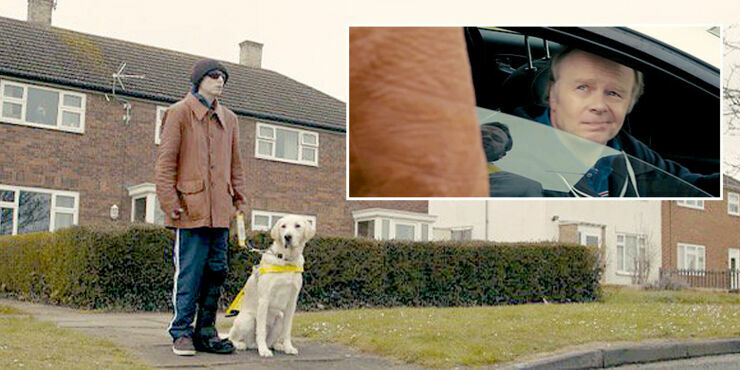 The video, made by charity Guide Dogs and London agency Don't Panic, sees the guide dog being played by a human, and focuses on the dog and his owner attempting to get in a cab but meeting difficulty. It takes a comical tone but the message is serious. It wonders how we all might feel if we faced this type of discrimination when hauling a cab. The charity are asking for tougher measures for taxi drivers who flout the laws. Currently drivers who refuse can be fined up to £1,000 or have their licence revoked, but research by Guide Dogs shows that actual prosecutions are rare and the fines are low, as little as £50 to £100. The video wants to end this sort of discrimination by bringing in stricter laws, ensuring that everyone can #Accessallareas.